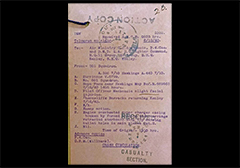 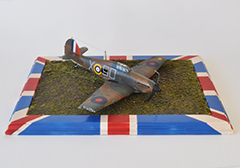 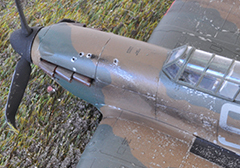 History: Mackenzie shared in the destruction of a Me109 on 7 october 1940. 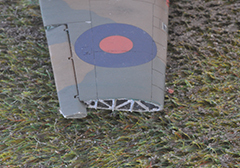 The Me109 destroyed was attacked by Mackenzie with no apparent result. 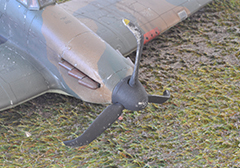 He followed it down to almost sea level and when it did not ditch he struck the tailplane of the Me109 with his starboard wingtip and the enemy fighter crashed into the sea. 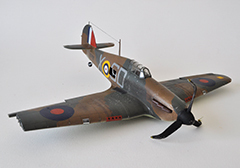 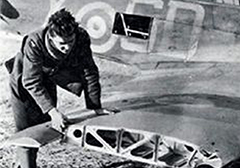 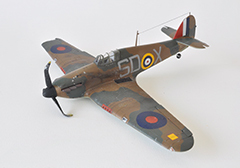 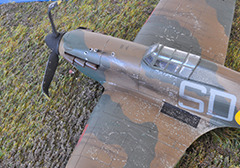 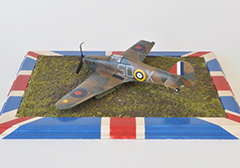 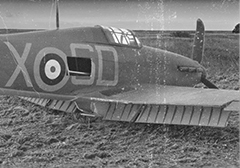 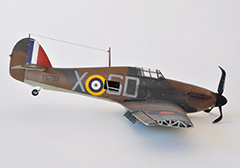 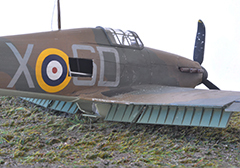 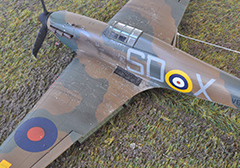 Mackenzie then made a forced-landing at Hope Farm, west of Capel-le-Ferne outside Folkestone, in Hurricane V6799, with slight facial injuries.